Happy Halloween! I know there are many people who don't celebrate Halloween and while I'm not thrilled about the idea of my girls knocking on peoples doors, Its something Emily has been so excited to do as all her friends at preschool have been talking about. With Isabelle being dairy free too it adds an extra worry to everything, luckily she is still at an age where she doesn't really notice if we take away things from her bucket or she has less. Tonight we had big plans to make a spooky Halloween dinner, something that we do every year, and every year I mean to share it but I forget to. This year we made it a little early, with Halloween being in the middle of the week it makes it a little bit hard for us, today we did lots of fun Halloween activities, and then finished the day making a spooky Halloween tea, tomorrow we are planning to carve our pumpkins, something I can't wait to do with the girls. 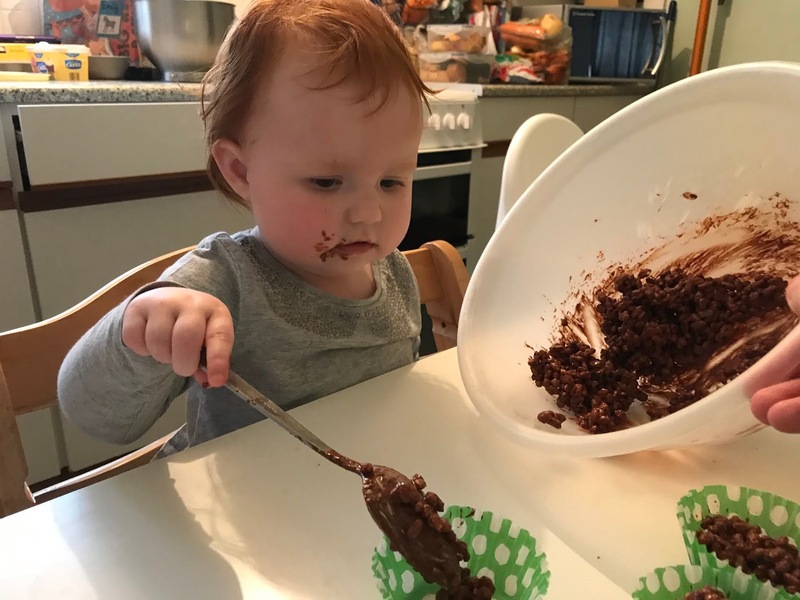 I used to share out craft and sensory play on my blog often, but somewhere along the line, I just didn't share as much and I really miss sharing my craft ideas. 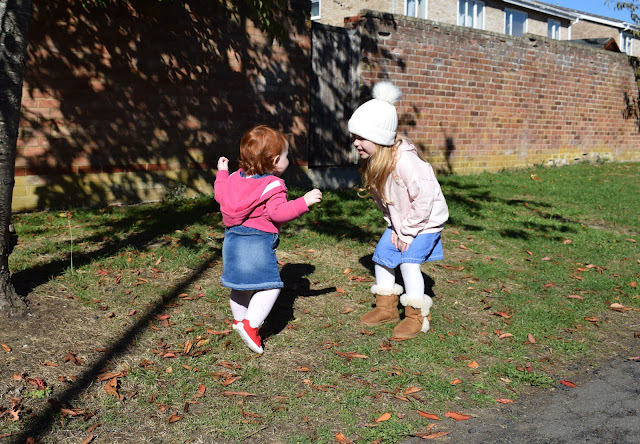 I love nothing more than crafting, cooking or messy play with my girls. 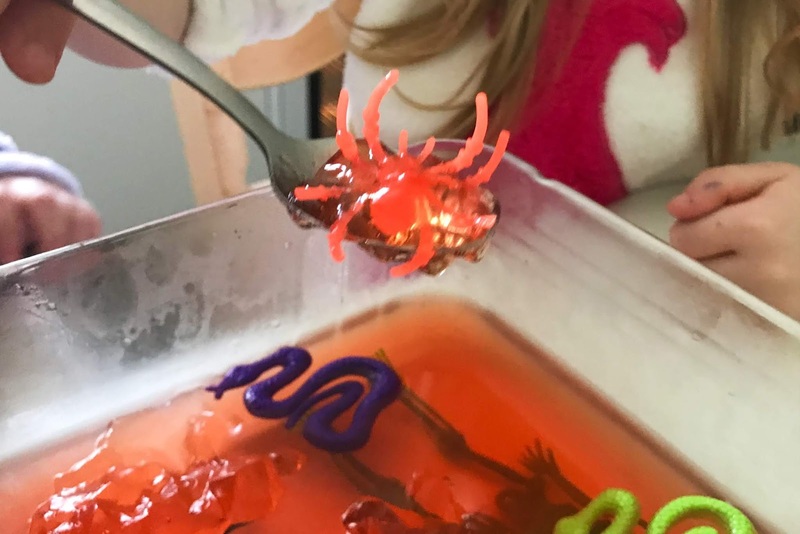 I had previously tried jelly play with Emily last Halloween, but she wouldn't even touch it, she is a little funny when it comes to textures - so I was interested to see how she would react this year. I love nothing more than crafting with my girls, which I'm sure is really obvious by now - I do seem to go on about it quite a lot. October, November and December are my favourite months, I love Halloween, autumn, and Christmas of course. I love to do themed crafts with the girls around those festivities. 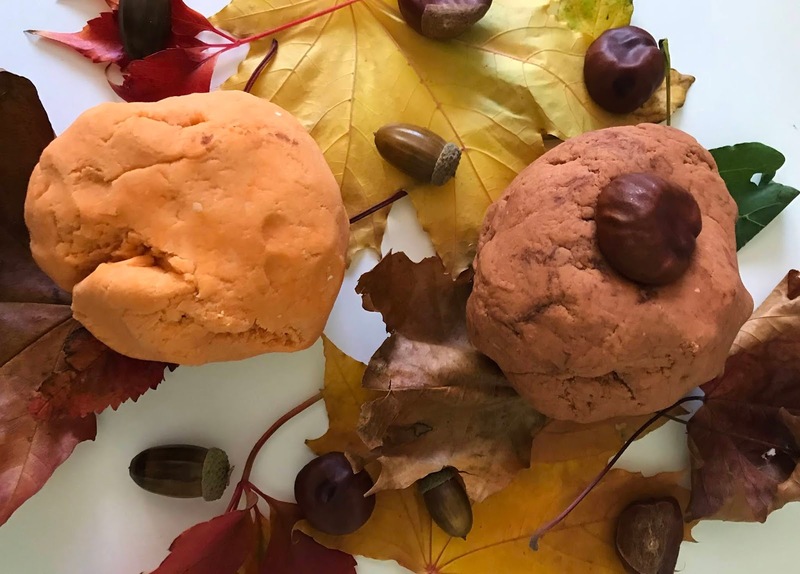 Autumn themed playdough is always really popular with Emily and it is so easy to make playdough, I'm not sure why more people don't make it. 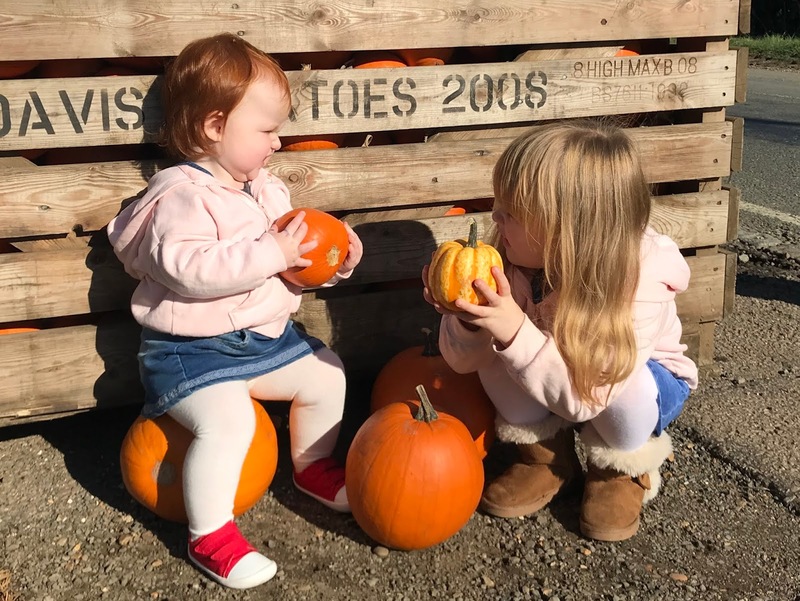 At the weekend we headed to our local farm shop to pick our pumpkins, we had plans to visit a pick your own pumpkin field this year, but unfortunately, our plans fell through. I didn't mind though, as we still managed to pick up some lovely pumpkins and support our local farm shop. We have been going to the same farm shop for the past three years to pick our pumpkins, so it has become a kind of tradition for us to go there. One of Emily's favourite Halloween themed books is 10 little monsters, and in it, the witches make brews - which is her favourite part of the book. Naturally, with Halloween coming up I wanted to make some witches potions or brews with her, as I knew that she would absolutely love the activity. 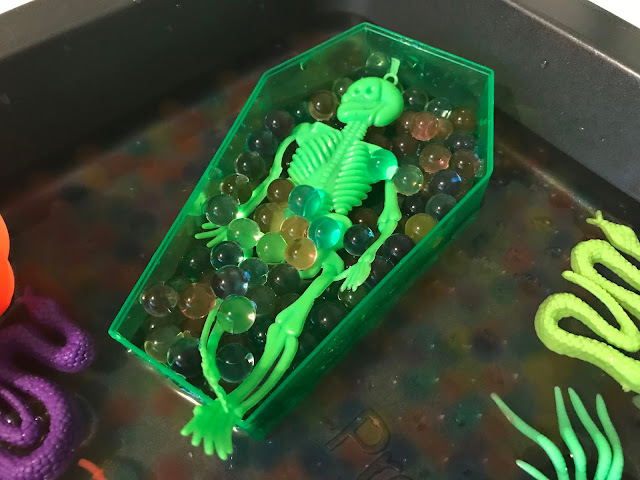 I already had some water beads which I knew would be the perfect sensory item to go with this activity. I also added in some Halloween props which added to the activity. As you know Emily and I absolutely love to be in the kitchen, baking, cooking or rustling up something yummy. For her fourth birthday, the only thing that she asked for was a new cookbook, which of course I got for her. We are yet to bake anything from it, but Emily has asked that we make sausage casserole next week which is one of the recipes from her new cookbook. We have been trying to come up with some quick and easy dinner ideas at the moment though. Wednesday is one of our busiest days, we are out from 1ish till about 5. So dinner is always a mad rush on a Wednesday. I have been trying to make use of my slow cooker, but Emily isn't really keen on filling dinners. She tends to fill herself up at lunchtime and then want a snackish type dinner. 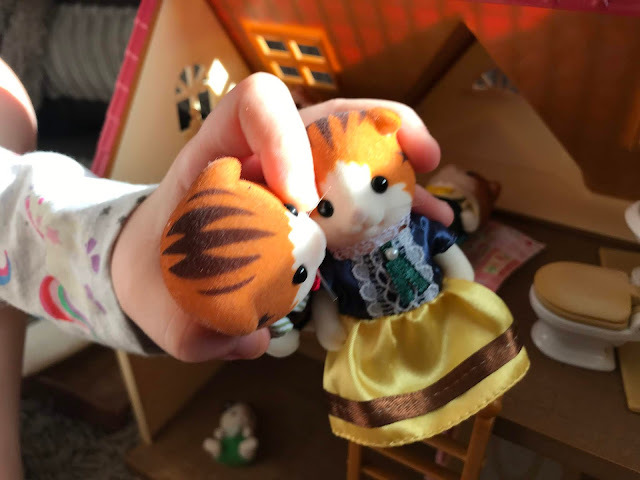 Emily very kindly sent a new Sylvanian families family to review, and when it arrived in the post she was beyond excited to open it and add the new maple cats to her ever-growing collection. The maple cat family is made up of Theodore, Georgina, Jasper and Millie. Since Emily is at preschool twice a week now, I have been making a real effort to spend time with Isabelle one on one rather than just using the time to get all my jobs done. 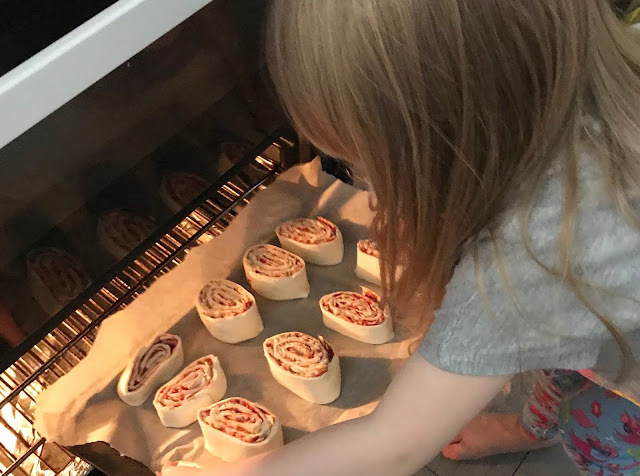 Something that I have always loved to do with Emily was baking and it seems that Isabelle wants to follow in her footsteps. Whenever I start to cook dinner, or get out the baking ingredients to rustle something up, shes right at my feet asking to help. So naturally, when we had a spare couple of hours while Emily was at preschool I thought that we would rustle up some Krispie cakes. You know when you just wake up, and your in one of those 'I can't be bothered to do anything moods' - well I woke up like that, and decided rather than giving in to it, I was going to get up, get dressed and get out. I put a casserole into the slow cooker, got us all dressed and headed out the door. It did me wonders, it literally turned my whole day around. I had plans to make some autumn themed homemade playdough with the girls, and we had already picked up conkers and acorns. The only thing that was left for us to collect was some crunchy leaves. With the colder weather approaching, its been time to pull out all of the chunky knitwear from last year, while I do have few lovely items from last year I do need to buy a few more pieces as I'm seriously lacking warmer clothing. 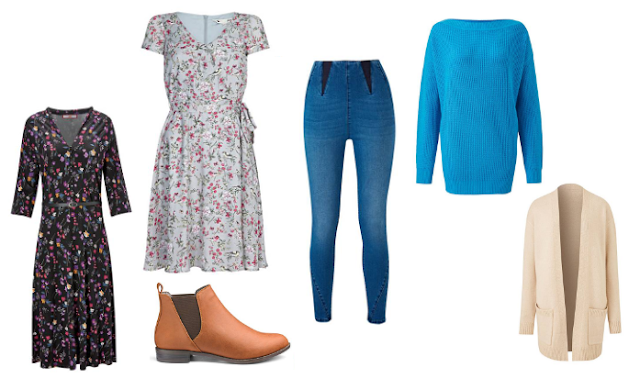 Simply Be seem to be my go-to shop when I'm looking for items of clothing, its a brand that I have always shopped with, and I find that there clothing is good quality and lasts a little while. I thought I'd share with you the few things I have been lusting over lately. Guess who's back.. back again! I’ve been staring at a blank screen for approximately 20 minutes now, thinking about how I should start this blog post, what I should say or how I should word it. 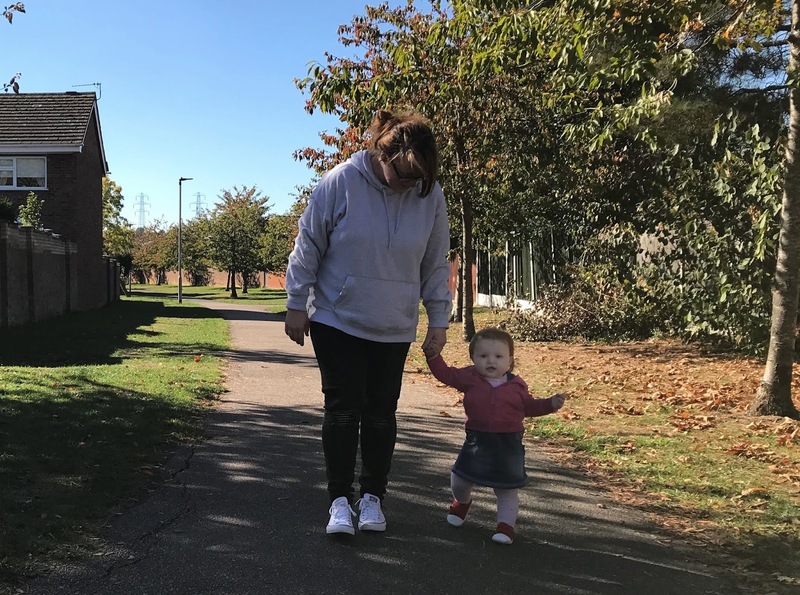 The thing is, I feel a little bit lost with my blog at the moment. 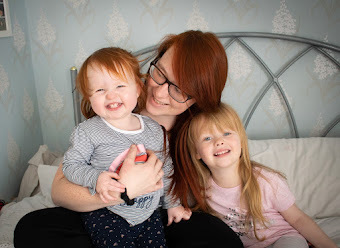 I love my little corner of the internet, being able to document and keep all of my girl's memories in one place to look back on when they’re grown - but somewhere down the line, I seem to have lost my spark a little. I haven’t posted on here in months, and when I have it’s been half-hearted or quick, then I’ve shut my laptop down again. I enjoy taking pictures of the girls, and having somewhere to share them, but lately, I just don’t think I’ve been in the right mind space to share.